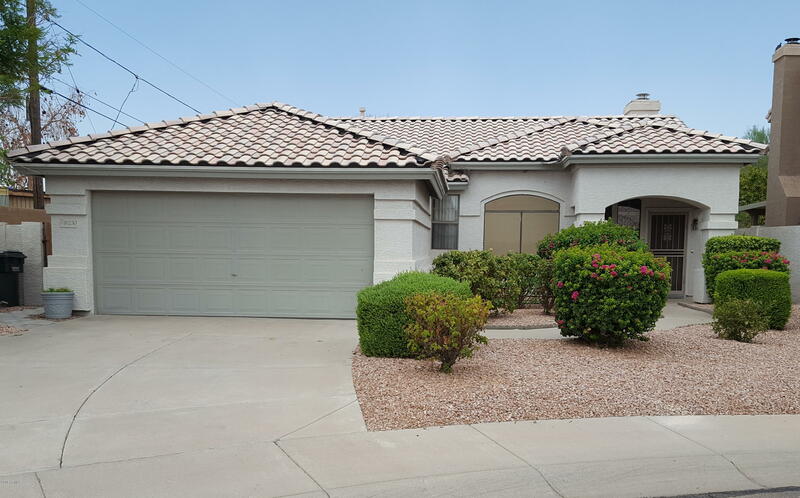 All VISTAS 2 homes currently listed for sale in Phoenix as of 04/23/2019 are shown below. You can change the search criteria at any time by pressing the 'Change Search' button below. "Stunning home exudes warmth and earthy tones. NEW A/C 2016 NEW ROOF in 2015. 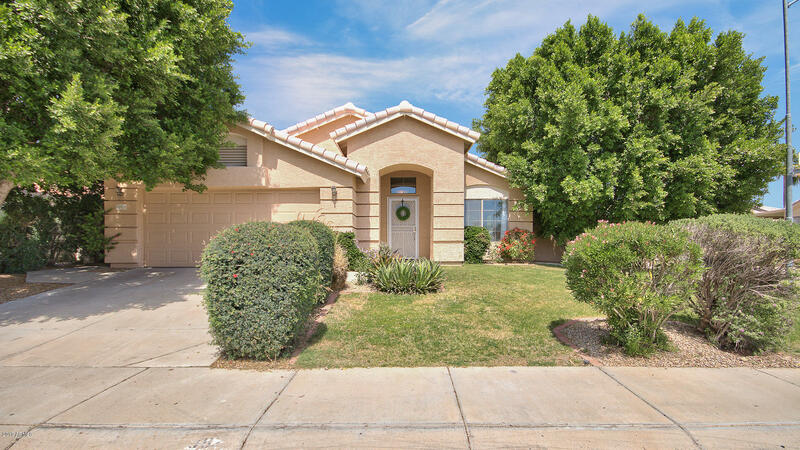 This well maintained 3 bed 2 bath home is situated on a CORNER LOT across from the greenbelt.TRAVERTINE and HICKORY FLOORING throughout. The spacious master bedroom has an en- suite bath with double vanity, garden tub, sperate shower and walk-in closet. Both bathrooms have been updated w/granite counters and travertine tiled showers. The kitchen comes equipped with STAINLESS APPLIANCES, GRANITE counters and plenty of mo"
"Great floor plan with spacious flexible living areas. Generous sized formal spaces for living-dining rooms can also be used for whatever your needs demand. Kitchen opens to family room with gas fireplace. and adjacent breakfast eating area. Upgraded finishes include granite counters in kitchen, stainless appliances and tile flooring throughout with carpeted bedrooms. Large Master bedroom with big walk-in closet. Master bath has 2 sinks and separate tub & shower. 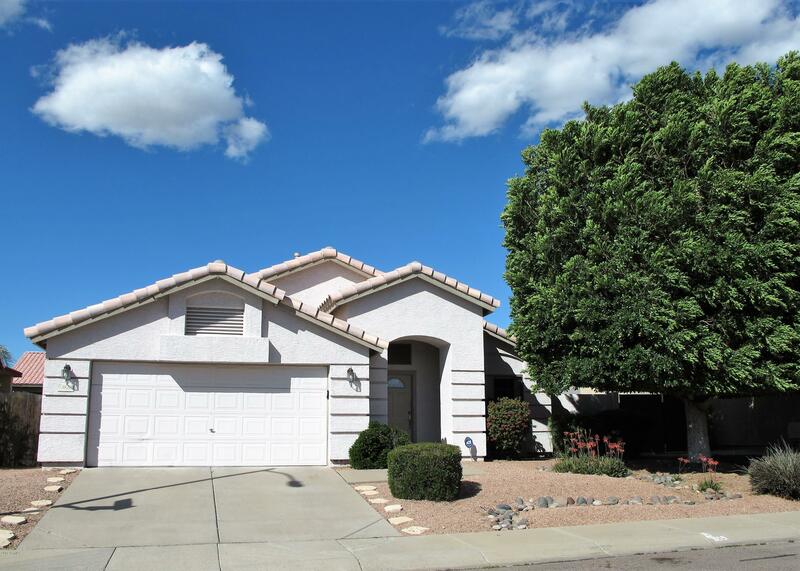 Awesome backyard retreat with cov"
"These centrally-located Maracay homes hold high demand. Well-constructed by builder and well-loved by ORIGINAL OWNER. Clean, Energy Efficient, move-in ready. Beautiful NEW (Jan 2019) TILE FLOORING throughout living/dining/kitchen/halls/bath. Open Great Room layout with Fireplace, formal Dining Room, vaulted ceiling. Split bedroom floor plan. Extra large master suite with 2 walk-in closets, large shower, garden tub, double sinks (in both baths). Island Kitchen boasts granite (2015) and bright,"